I had the best of intentions today in planning to finish up the Essie Winter Collection, but you don't even want to hear about my day and the events that are to blame for that not happening! 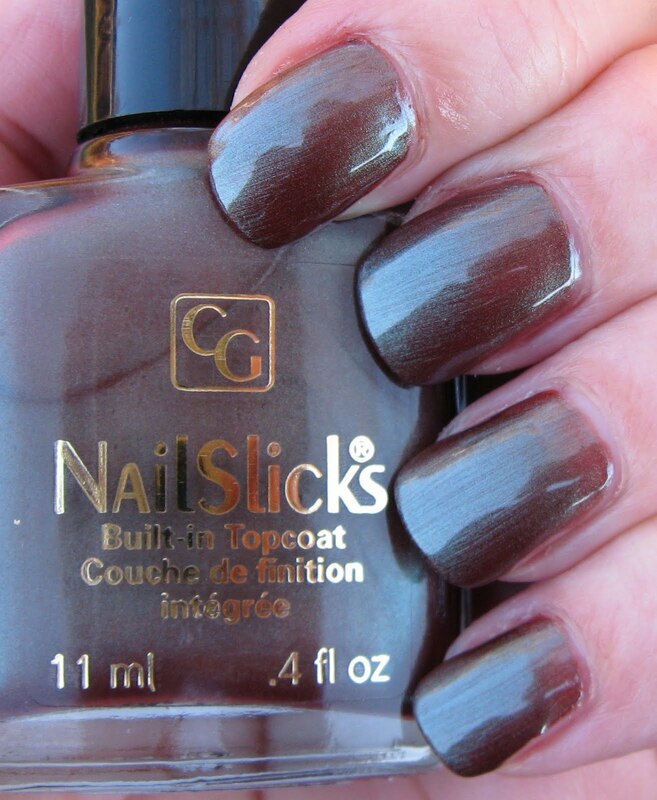 When all else fails and time is a rare commodity--reach for an old school polish to make everything better! 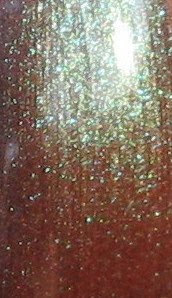 Below: In the shade, this becomes a creamy milk chocolate with very delicate shimmer. I can't think of anything to compare this shade with, but there are a couple of shades that do remind me of it in some ways. One is BB Couture's Coal Miner, and the other is MAC's Toast of the Town. I certainly wouldn't say any of them are dupes, but they do share some similar traits. Here's hoping for a more productive and less hectic day tomorrow, so I can finally post the Essie's before they become "Old School"! Wow, this is an awesome find! That is a beautiful brown. Love those duochromes. I certainly don't wish any hectic or bad days on you, but my favorite posts are your old school polish posts. And I did laugh out loud about you enjoying the vapors! This is a great color, thanks for showing it to us. it's a really nice color. I think i'm forgetting to polish my nails often... because i know i feel better when I polish them in a pretty polish.. but i'm just so tired/busy.. argh. what to do. you inspired to to just do them right now and not procrastinate..and fall asleep stressed. hope your days/weeks get better! This is one of my absolute favorite & treasured polishes. I bought it when it was first out and I'm so glad I did. I hardly ever wear it though, because I don't have backup of it and there is no good dupe. Wow I wish I had this polish. It looks exactly like my new eyeshadow that I am loving. It is Too Faced in the color Label Whore. Very same color! Love it! Jackie S.~thank you! I wish CG would come out with some new and unique shades. KarenD~yes, one of my favorite oldies, for sure! Lucy~you and me both! This is a favorite of mine. peripatetic33~I just love the color combination on this one. Twister~agreed. Always makes me hungry for mint chocolate anything! auroragyps~I feel the same way! Definitely not a dupe out there that I'm aware of. Anonymous~I don't know if I have that TF shadow, but now I'll have to look! Love my TF products, especially their shadows. Seriously tho, this is a great shade. 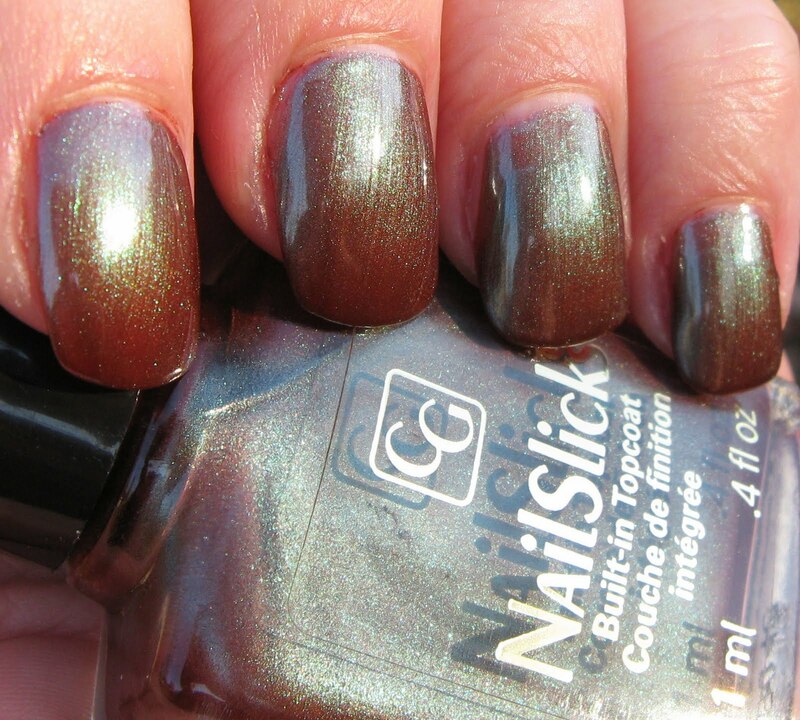 I was just thinking how awesome a dark brown polish with green or light blue shimmer would be.